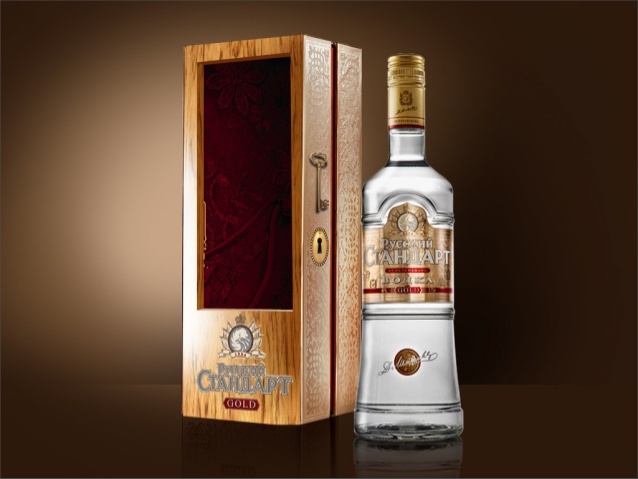 Russian Standard Gold is made with winter wheat and is inspired by an ancient Siberian vodka recipe. How does it differ from the regular Russian Standard vodka? Well, Gold uses extracts of Siberian ginseng, which add caramel notes initially, and then a pepperiness that really lingers. And again, there’s that soft mouth feel and creamy finish.